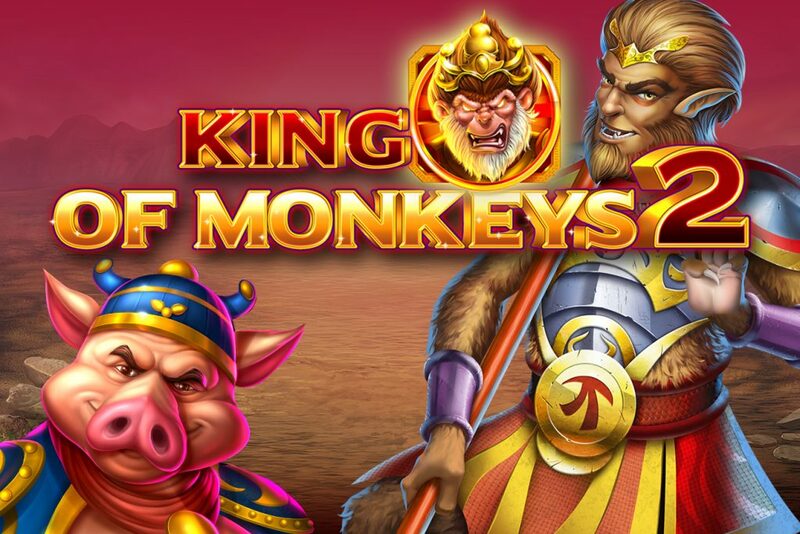 The adventure of the King of Monkeys Sun Wukong and his companions Tang Sanzang, Zhu Wuneng and Sh? 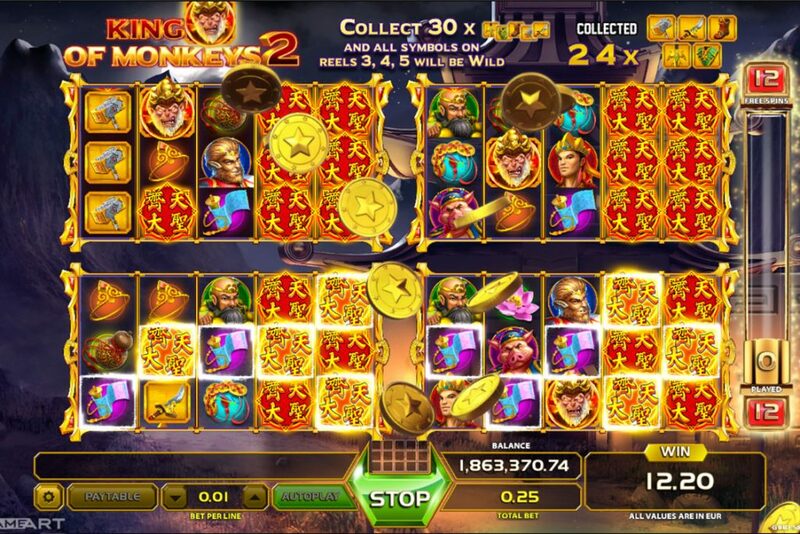 Wujing contin- ues in the slot game King of Monkeys 2. The journey to the west is going to take you on a satisfying experience of fun and luxurious wins! In this 5 reel, 25 pay line game it’s bringing lots of action during its unique bonus feature where you can play on up to four reel sets simultaneously. Win the bonus feature with three or more Scatter symbols or just randomly after every spin. 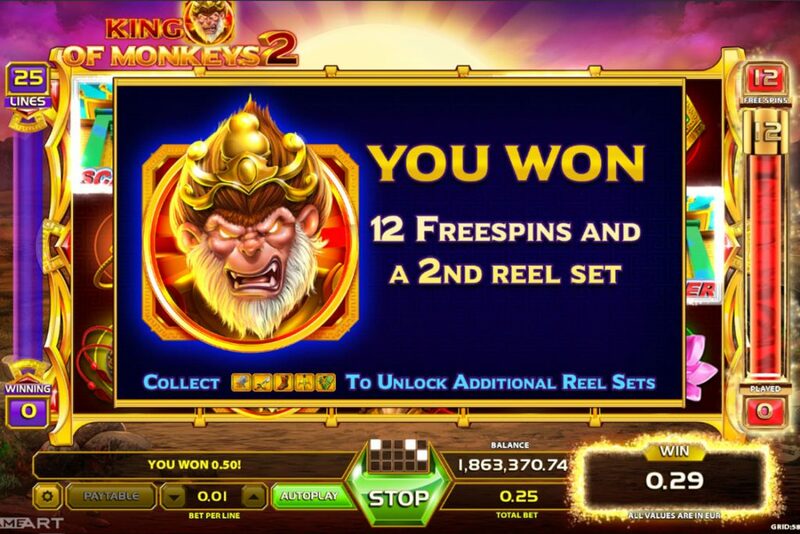 You are awarded 12 free spins that start playing on two reel sets simultaneously. At the end of each spin all Collect symbols are collected and displayed on a counter above the reels. When 9 Collect symbols are collected 3rd reels set is unlocked and the entire reel 5 on all reel sets be- comes wild. When 14 Collect symbols are collected 4th reel set is unlocked and the entire reels 4 and 5 becomes wild on all reel sets. When 30 Collect symbols are collected, the entire reel 3, 4 and 5 becomes wild on all reel sets. 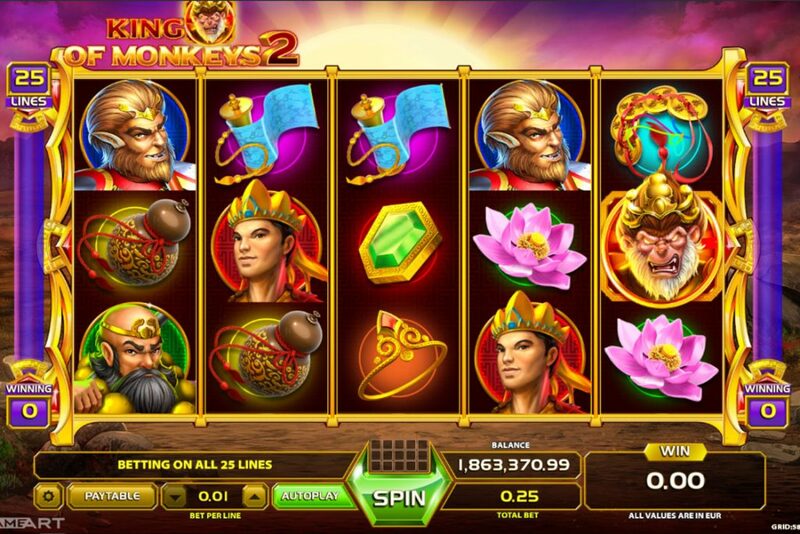 Bonus feature cannot be re-triggered during free spins. There is no time to waste, let the fun begin!